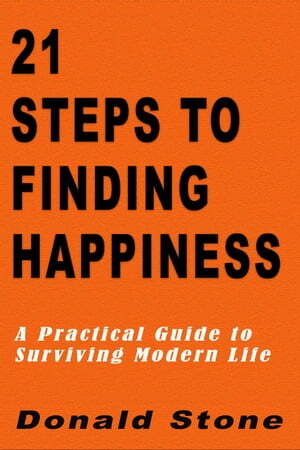 Collins Booksellers - 21 Steps to Finding Happiness : A Practical Guide to Surviving Modern Life by Donald Stone, 9781386252740. Buy this book online. Do you ever feel bored or listless? Do you sometimes feel like your life isn't what you wanted it to be - like you're missing out on something? We can all get caught in a rut sometimes. We get stuck in a routine, attending to what needs doing, and forgetting that life is for living rather than observing from the sidelines. If your life is lacking something, and you're not sure what it is, this book is for you. I'm Donald Stone and I'm going to show you how to use simple, practical steps to bring a little happiness into your life each day. So what are you waiting for? Let's get started. - How to have more positive thoughts. - How happiness really works and how you can use it to your advantage. - How expectations can control you. - How to deal with problems of attachment. - The power of creative visualisation. - How to manage your emotions and build self confidence. - Understand how your social life affects you both online and offline. - How to focus on the little things and make sure that you build a life that is right for you. - How to deal with everyday life and block out negativity. - The importance of having goals. If there's something not quite right in your life, let me help you find a little extra happiness to make your life better today!